Cae Bodfach – 9th March 2018 – Come Along! 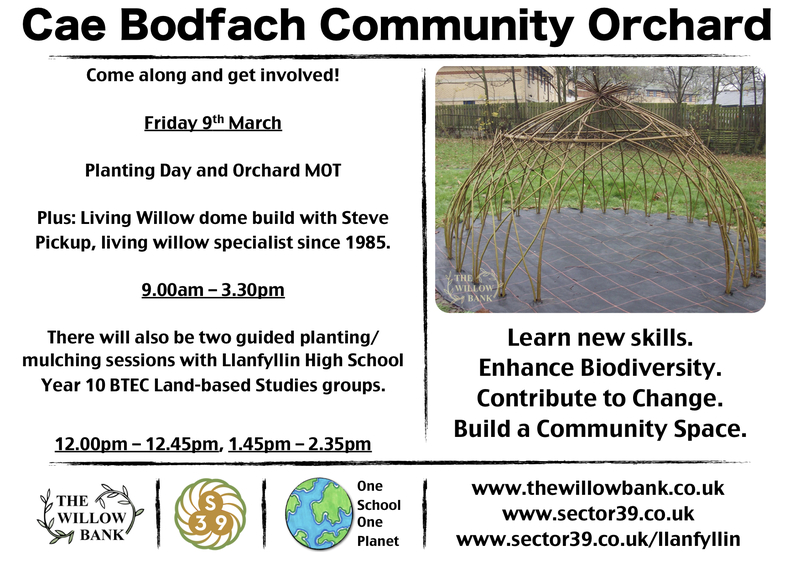 Come along and get involved at Cae Bodfach Community Orchard this Friday 9th March. We will be holding a planting day and orchard MOT between 9.00am-3.30pm. We will also be joined by Steve Pickup, a living willow specialist, who will be constucting a living willow dome with us. There will also be two guided planting/mulching sessions with BTEC Land-Based Studies students between 12-12.45 and 1.45-2.35. Here comes exponential transition, are you ready?